IREM Leasing Tenant Move-In & Move-Out Forms will help you expand your skill set and provide resources for every step of your career development. No matter your level of experience and expertise. 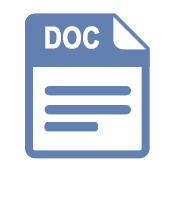 Record and outline a new tenant's acceptance of a rental unit with this detailed document. This "walk-through" template covers the condition of all rooms and notifies the tenant of any deadlines for completion. This Condominium Poxy is a useful form to customize and document a person who is unable to attend an annual election. Keep a move-in checklist at hand to facilitate the move-in process. This document offers a comprehensive list of procedures a property should meet before a new tenant moves into a unit. Some of the operations recorded on the checklist include charges and collections, lease addendum acknowledgments, and key distributions. Initial and date move-out processes on this Move-Out Checklist. Procedures covered in this document include notices delivered and received, inspections, and deposit dispositions. Document moving dates and procedures for tenants leaving a building space. This form provides schedules for delivering keys, tenant kits, and other information. Customize and use this lease notification to notify tenant's of their non-renewal. This notification allows you to document and customize your tenant's non-renewal to your needs. Prepare for new tenants moving in by reminding existing tenants of their expected move-out date. This form notifies residents of when new people will be moving into the unit. Use this form to release a security deposit to a tenant at move-out. The release form lists the original amount of deposit, time it was held, and includes payment of any interest accrued.